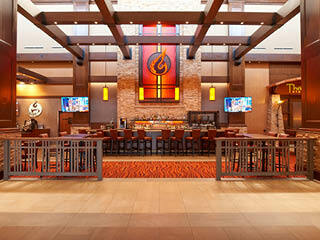 Not only does Prairie Band Casino & Resort give you more ways to play, we also give you more ways to eat. 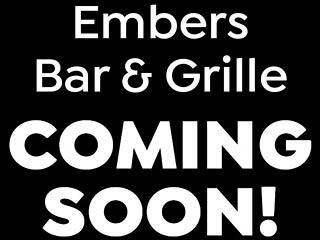 A diverse variety of options – buffet style, fast casual and fine dining – are available to you whenever hunger strikes. Our signature restaurant, the Three Fires Steakhouse, offers diners an incredible selection of steaks, chops, seafood, pasta and desserts. Plan your next special occasion with us and see why the Three Fires Steakhouse has been chosen as one of the finest in Topeka. 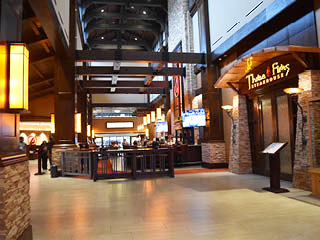 The Longhouse Buffet serves buffet-style breakfast, lunch and dinner daily. 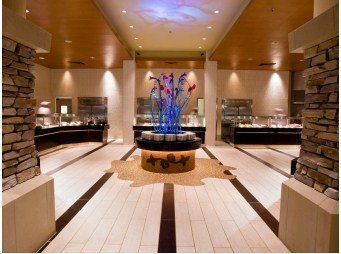 Choose from our selection of Asian-inspired cuisine, seafood, salad bar or your favorite comfort foods. Bring a friend or two (or twelve). The Longhouse Buffet can accommodate just about any size party you’ll be dining with. 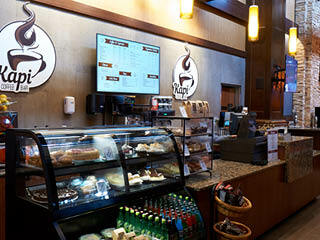 Treat yourself to a variety of flavored lattes, espressos brewed with 100% Arabica beans, fresh pastries, fruit smoothies, deli sandwiches, yogurt parfaits, matcha tea and many more delectable treats. Our Lobby Bar entertains and delights with our selection of locally crafted beers, signature cocktails, applewood-smoked bourbons to order and our delicious Bar Bites menu.